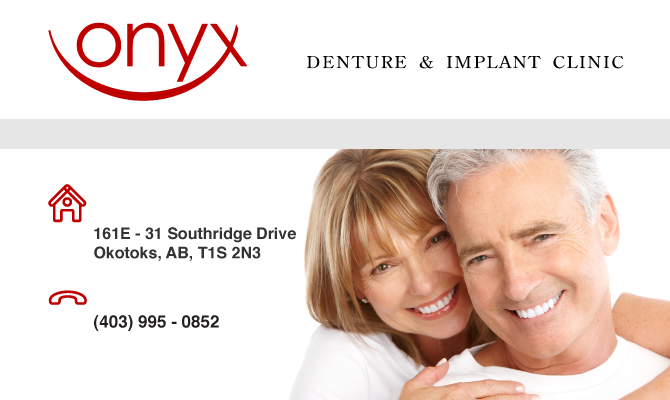 Onyx Denture and Implant Clinic is a full service denture Clinic offering full, partial and implant retained dentures, relines, repairs and tooth whitening. Located in friendly Okotoks, AB. A short drive from Calgary.